“The advertising game is no longer about reach and frequency,” says Lisa Gevelber, a Google vice president for marketing. Gevelber, who pioneered the micro-moments concept, believes that intent and immediacy now trump identity and brand loyalty when it comes to consumer decision-making. Retailers have a wealth of data at their disposal for targeting customers “in the moment.” For example, GPS data provides precise location information, so retailers know if a customer is in their store or close to a store location. Apps can track every tap and swipe, giving retailers insight into which products a customer is viewing and even how long customers linger on a specific product page. 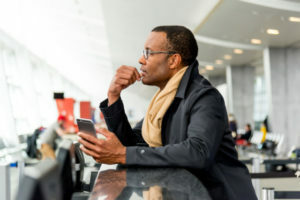 Smartphone sensors like accelerometers can even identify if people are sitting, walking, or driving, providing an added layer of insight into consumer behavior and purchasing intent. Companies that use these advanced analytics are better positioned to capitalize on consumer intent and immediacy. Before the store. Smartphone shopping has created a new “front door to the store.” Companies are using ads triggered by proximity to target customers who are searching for products but not yet at the store. These local inventory ads show real-time store inventory and even prompt consumers to place products on hold for pick up. At the store. Consumers use their smartphones while shopping to compare prices at other stores/online retailers, look up product information, and check online reviews. Each of these actions is a signal that the customer is in the “I-want-to-buy” micro-moment. Retailers are capitalizing on these moments by sending in-store push notifications offering discounts, promotions, and loyalty rewards. While targeting consumers in or near stores is one effective option, companies are also considering other ways to use advanced analytics to target customers in the moment of an immediate need. For example, the New York Times reported that Red Roof Inn linked flight data from the aviation software company FlightAware with Google’s search ad system to target travelers stranded at airports. Red Roof Inn targeted very precise moments, such as when O’Hare Airport in Chicago experienced a major flight cancellation. The instant a major flight cancellation occurred, New York digital agency 360i automatically raised the hotel chain’s bids for mobile ad space. This temporary bump in ad spending placed Red Roof Inn in the top spot in three-quarters of search results for queries such as “hotels near O’Hare.” According to 360i, this strategy resulted in Red Roof Inn experiencing a 60 percent increased in hotel room bookings.